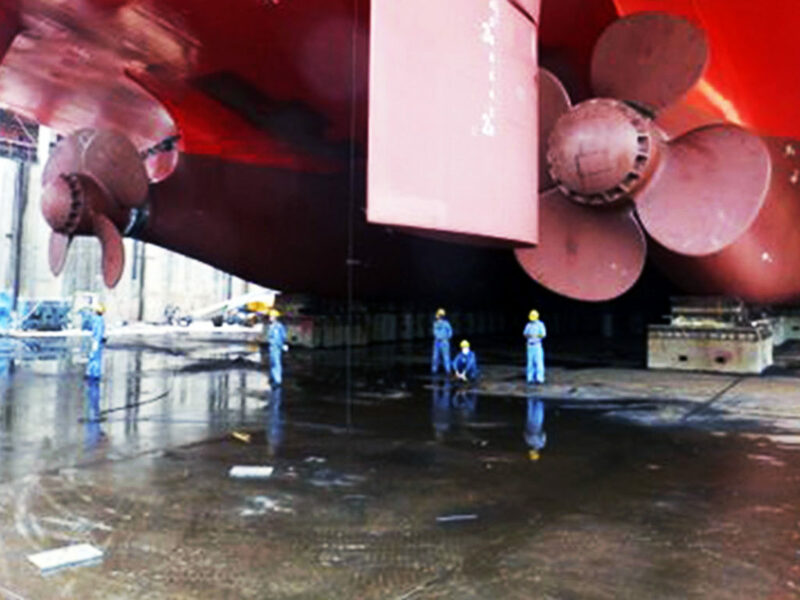 Strong and reliable propulsion systems are essential to ensuring the safety of the vessel and its crew when operating in remote regions. However, propulsion systems must also be efficient and quiet. Balancing these contradictory requirements is challenging due to the multitude of off design conditions created by propeller-ice interactions. Aker Arctic’s propulsion package solutions ensures your complete system delivers high quality performance throughout the life of the vessel. 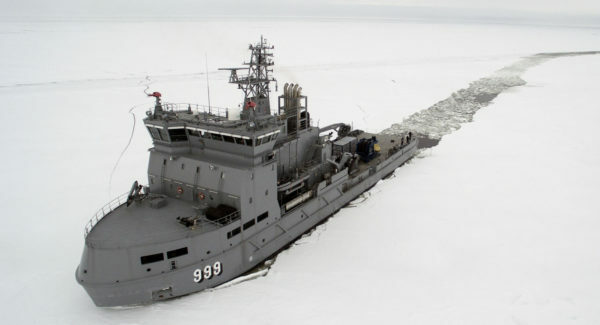 Operations in ice can be demanding on the ships propulsion system. 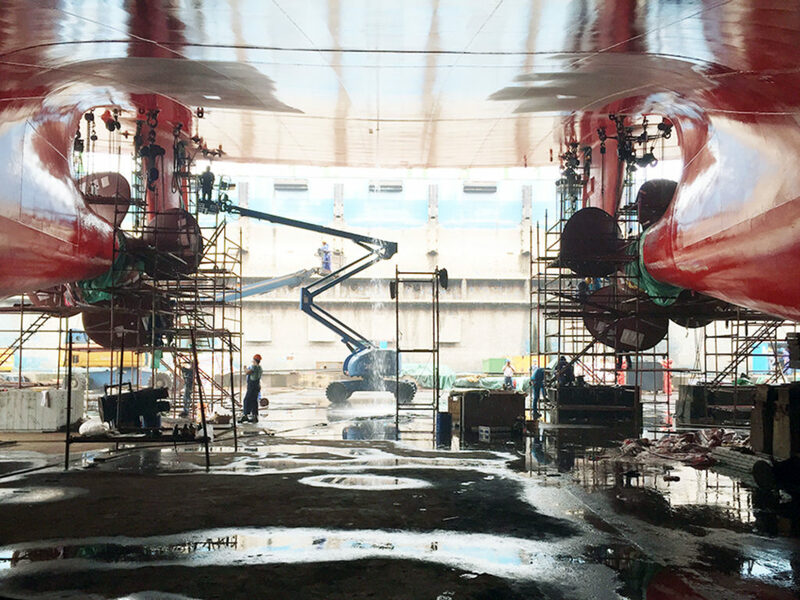 Blocks of ice that are pushed under the hull can interact with the propeller in numerous ways. These interactions put extra strain on all elements of the system, from the propeller and shaft line to the bearings and seals. Aker Arctic’s solutions ensure that the complete system is strong enough without over dimensioning. The result is a reliable, while still efficient and quite solution. 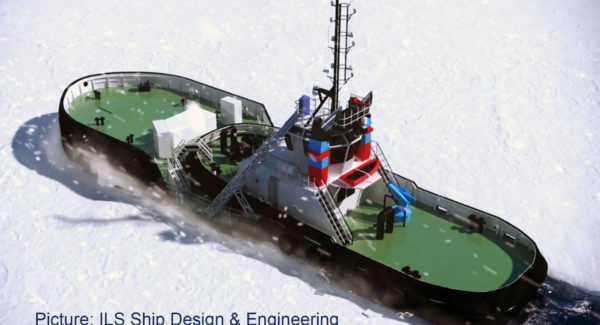 The benefit Aker Arctic brings to the value chain is based on extensive background of designing and testing propulsion systems, including the world highest ice class vessels and icebreakers operating in the harshest of environments. 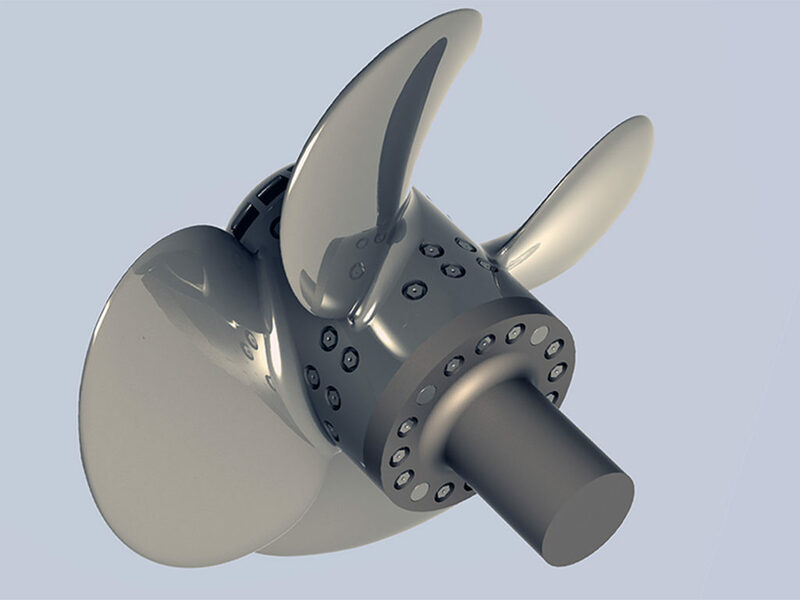 Our experience covers all types and configurations of propulsion configurations including azimuth propulsion and bow propellers. Our designs can also be verified using our in-house model basin if required. 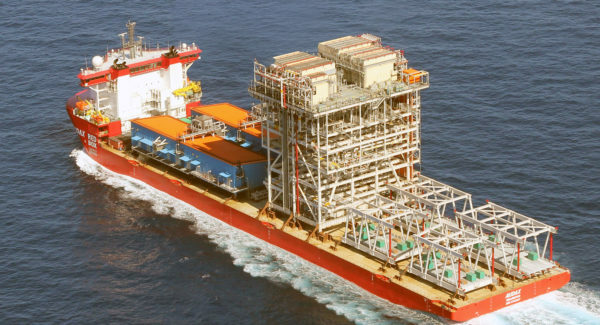 Many of today’s standards are based upon technologies pioneered and perfected by Aker Arctic. 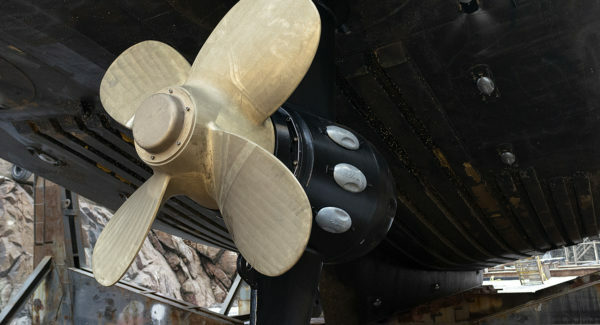 Regardless of the prime mover, steering mechanism, or propeller location, our experience helps our customers find solutions that fit their needs. Our solutions are based upon the best technology to suit your application. Aker Arctic has no preferred component supplier, allowing us to design, select, and supply the right components for your application. We place our customers values and needs first, ensuring the end product is not biased according to one component supplier’s recommendation.